If you are running a website, blog, or an online business, you will know that content theft is one of the most irritating and frustrating thing that will happen to almost every webmaster. All your article, images, videos are copied directly from your site and republished in another site without your permission. While you can file a DMCA report, it is often a tedious and unproductive process. For image protection, the common practice is to embed a watermark onto it that shows your site’s URL or copyright statement, but this can be a tedious job too if you have plenty of images or you are not so technical-savvy. This is where Batch Marker Photo Watermarking software comes into play, and we have a giveaway event for this. 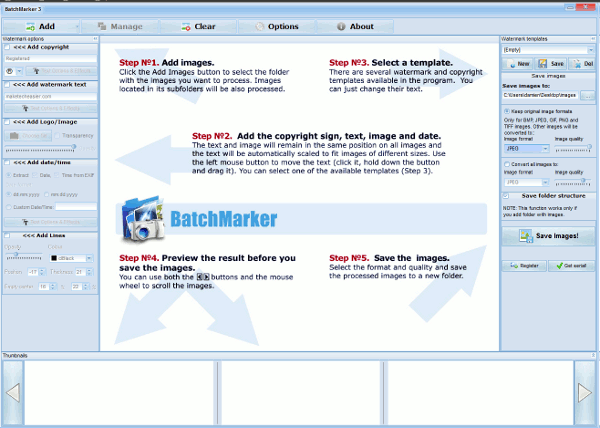 Batch Marker is an image editing software that allows you to add watermarks to a batch of image files quickly and easily. It saves you time from having to edit the images individually, especially if you have plenty of images to process. 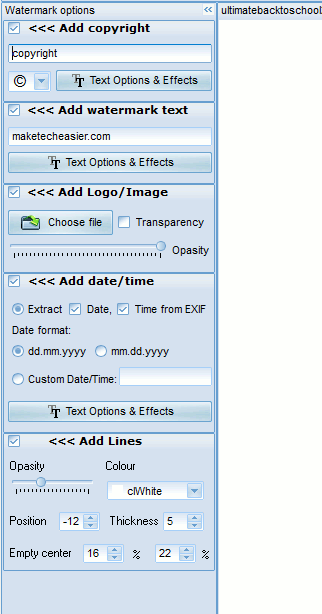 Other than text watermark, the software also allows you to add date/time, lines (like what most stock photo providers did with their images) and copyright statement. 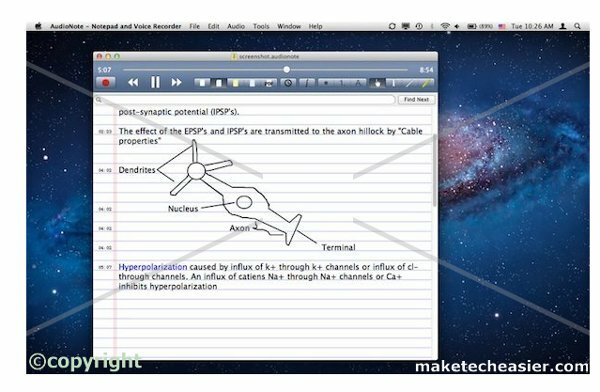 When you open Batch Marker, you will notice the background of the main window is a brief usage instruction of the software. This is pretty useful for the first time user. To get started, add your images to the dashboard. You can either add files or select a folder with images (using the big “Add” button on the top left corner). Once added, all the images will appear in the bottom scroller panel and you can move through the scroller to view individual image. After you have added the images, this is where the fun comes in. 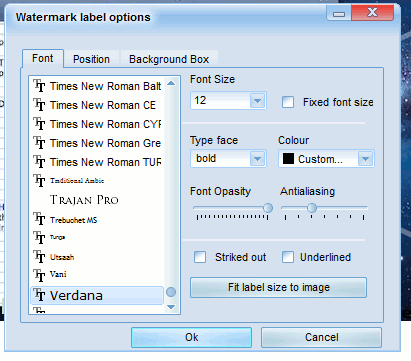 At the left panel, you can select to add Copyright, Watermark text, logo/image, date/time and lines. 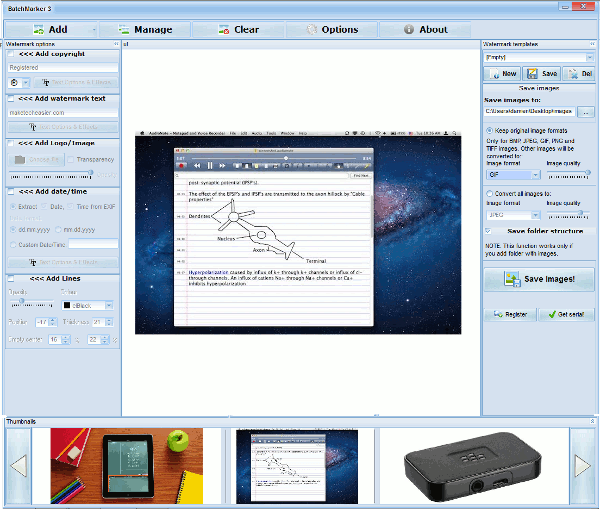 For each section, you can also configure the text option such as the font type, font size, color, position etc. When you make the changes, it will be updated real time so you can see how it appears in the image. When you are done with watermark settings, you can select the location and the file format to save the images. Lastly, just click the “Save Image” button to run the batch conversion. 1. Go to our Facebook page and click the Giveaway code. 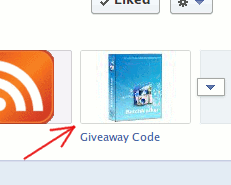 You will need to “like” our Facebook page in order to access the code. Alternatively, if you are not a Facebook user, you can also check out our Twitter stream and Google+ page for the code. 2. Enter the form below, together with the giveaway code. This form allows us to contact you if you are the lucky one to win the prize. 3. Share this post in either Facebook, Twitter or Google Plus. Contest ends August 20, 2012.